Ambie, Cassadi, and Crystal discuss some games they've played recently, including 1817, 1880: China, 1857, Between Two Cities, and Mint Works. We then talk about being a good sport in board games both in winning and losing. In this week's "Board Game Etymology" segment, Crystal discusses the origins of the word "tie." This weekend over Memorial Day weekend, I got to attend HeavyCon for the first time! 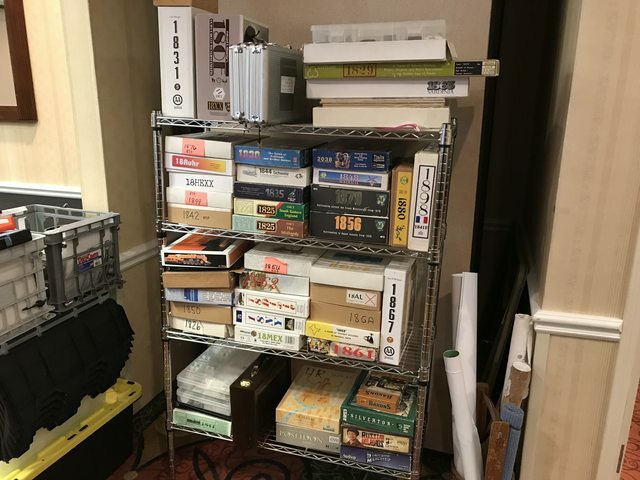 HeavyCon is a convention run by Heavy Cardboard, a podcast about heavier board games (heavy Euros, 18xx games, and wargames). There were 90 attendees, and since everyone was there to play heavy games, it was easy finding people to play pick up games of heavy economic games and 18xx games! Toby and I typically don't schedule games at conventions, and this one was no exception. Over the weekend (Thursday-Sunday), I had 23 plays of 22 unique games. A bunch of the games were new to me, and 3 of the games were 18xx games (although those weren't new to me)!